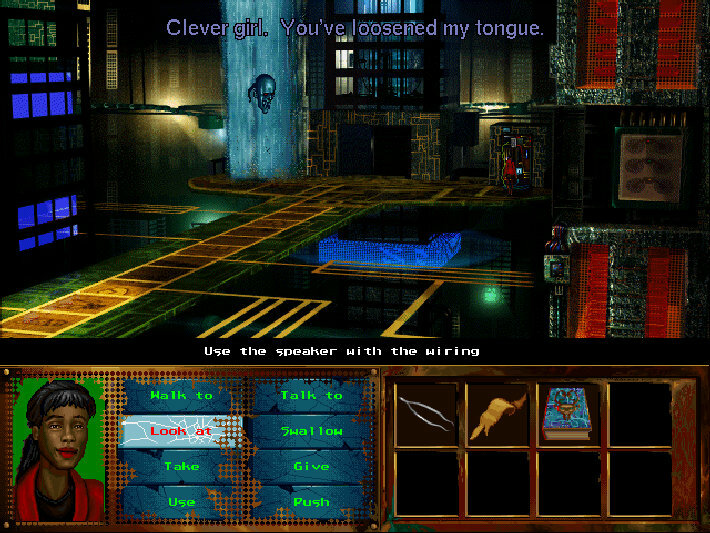 GOG has re-released I Have No Mouth and I Must Scream and we're here to tell you that its still worth playing. 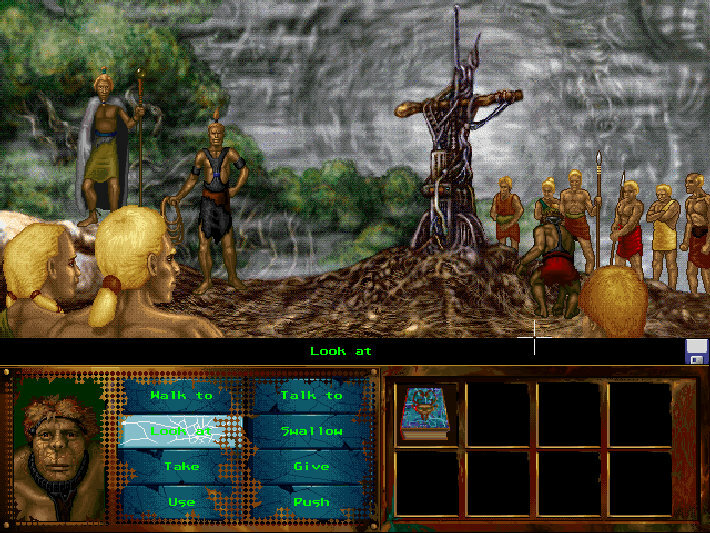 Every now and then GOG adds a real, genuine classic. The sort of title that leaves retro gamers frantically pulling wads of cash from their wallets to throw at the screen. 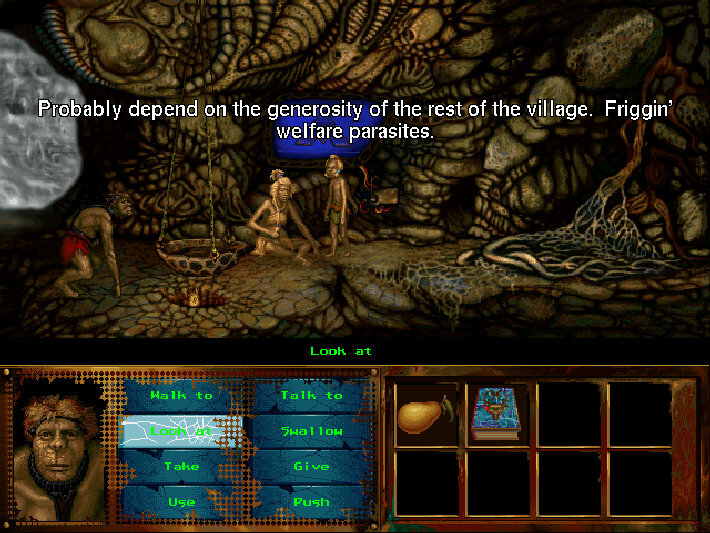 When it comes to the point-and-click crowd, I Have No Mouth and I Must Scream is arguably one of those titles and now, it's joined the ranks of GOG's extensive retro library. 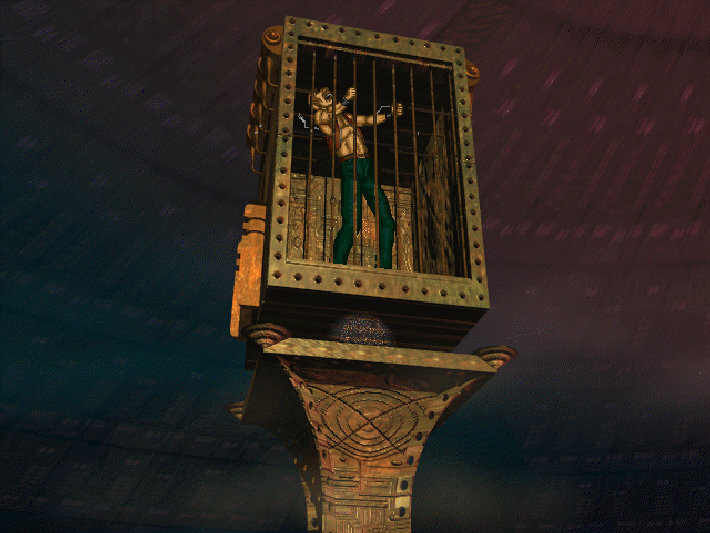 Based on the Harlan Ellison story of the same name and co-written by Ellison himself, it delivers a tale that is twisted, complex and perhaps even still controversial by today's standards. Set in a post-apocalyptic future where humanity has been destroyed, an all powerful artificial intelligence named AM holds five people prisoner, granting them immortality so it can torture them over and over again until the end of time. 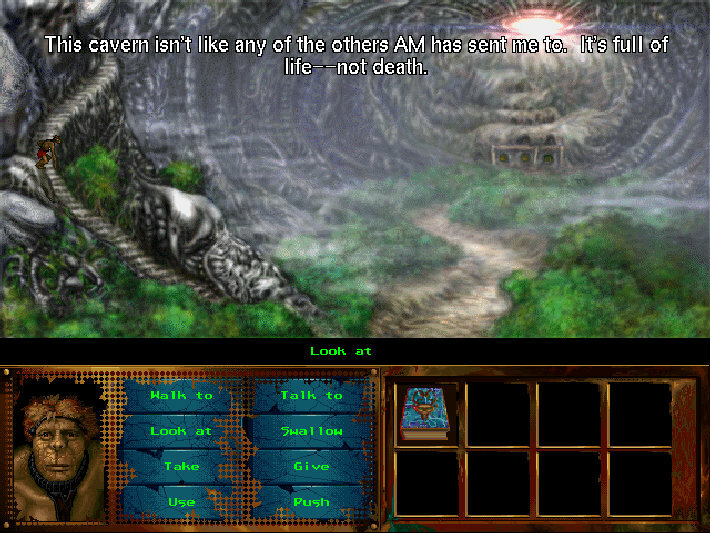 The game itself takes place across five chapters, one for each character, where the player guides them through scenarios created by AM. By overcoming their personal psychosis they're able to take steps closer toward finally defeating their tormentor. 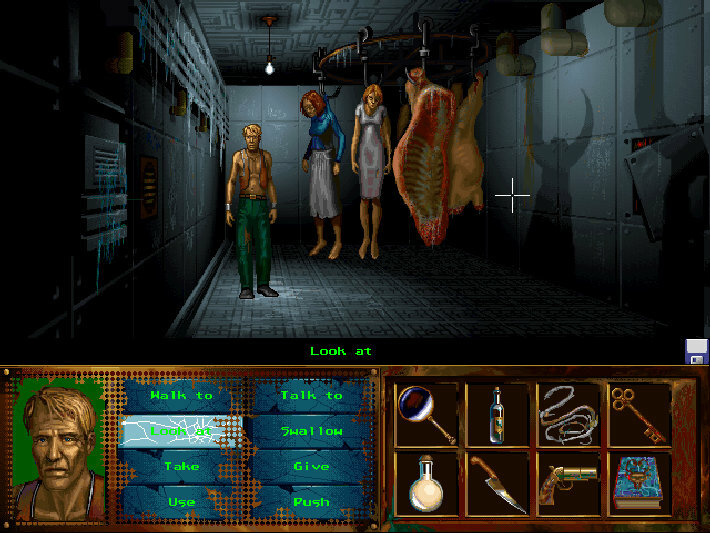 The player's primary role is to solve puzzles and make decisions that can affect how the final confrontation with AM plays out. 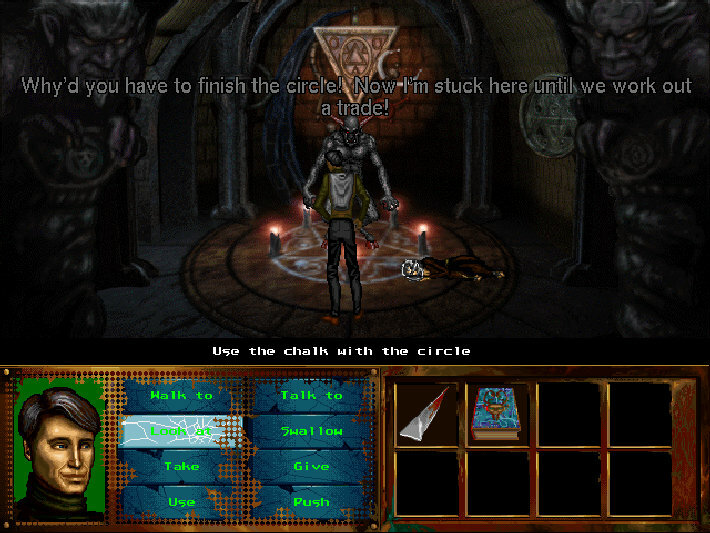 The gameplay is probably my least favorite element of I Must Scream, though it's very possible that I just lack the patience to properly enjoy a point-and-click adventure. 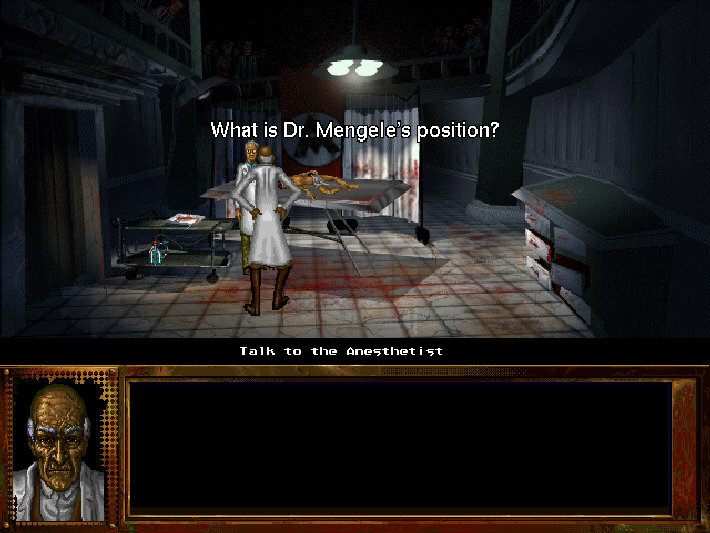 While I enjoyed the conversation elements of the game, its puzzles were occasionally too vague and, several times, I found myself with no idea what to do next. 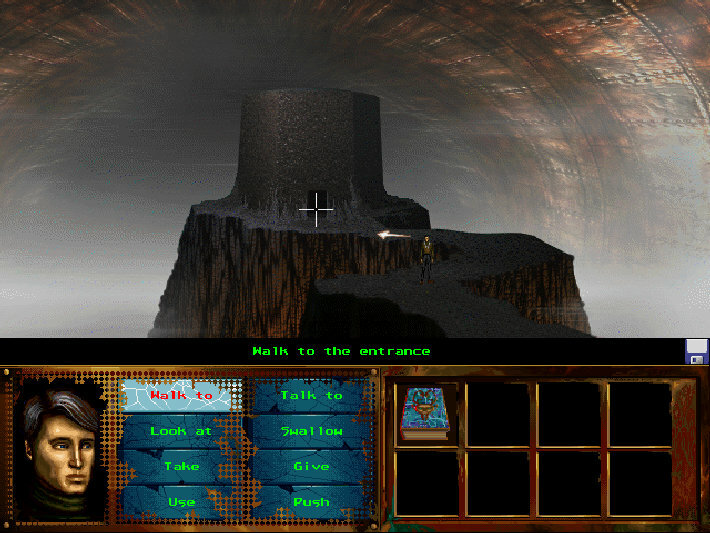 To its credit, a lot of the puzzles are solvable with a bit of exploration and common sense. Others, however, left me stuck in a cycle of mounting frustration where tedious trial and error seemed the only the way forward. The fact that I was hooked on I Must Scream regardless of that however, should stand as a testament to the strength of the experience as a whole. Even during its most frustrating moments I was less aggravated than I was desperate to discover what would happen next. 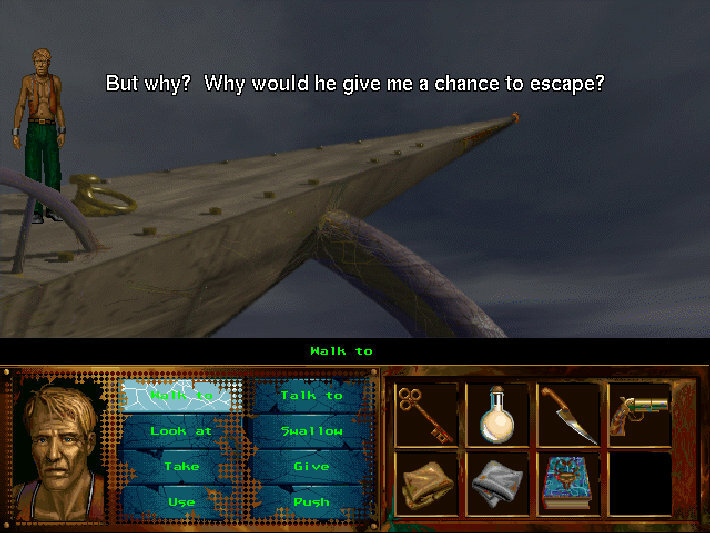 There's a fair chance that if you really hate point-and-click titles you still might not like I Must Scream. Even so, it's a must-have for adventure fans and at least a must-try for everyone else. 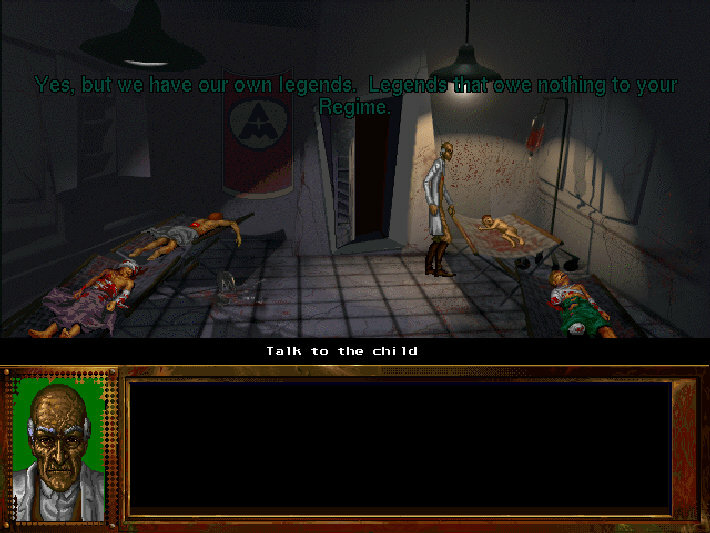 Starting today, I Have No Mouth and I Must Scream can be found at GOG for $5.99 and we definitely recommend you pick it up.